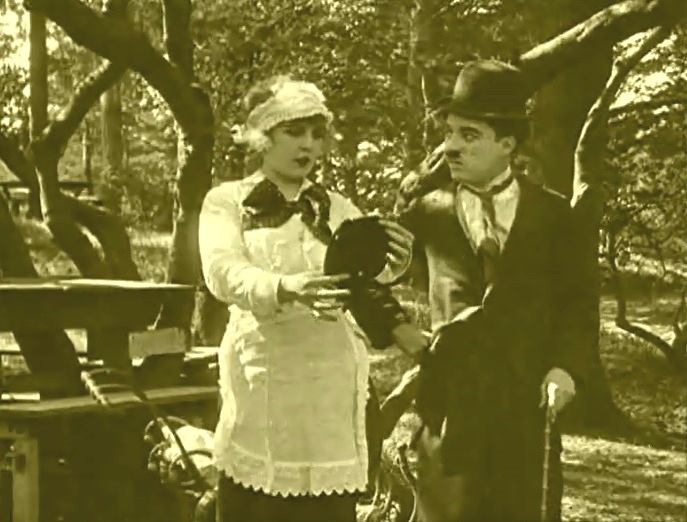 "In the Park" is one of Charlie Chaplin's Essanay short comedies, featuring Edna Purviance, a star of Silent Hall of Fame. Edna Purviance reads an instructive book in the film "In the Park" (1915). Charlie Chaplin joins Edna Purviance in reading the instructive book in the film "In the Park" (1915). Edna Purviance checks out a certain purse that exchanged many hands as Charlie Chaplin looks on in the film "In the Park" (1915). 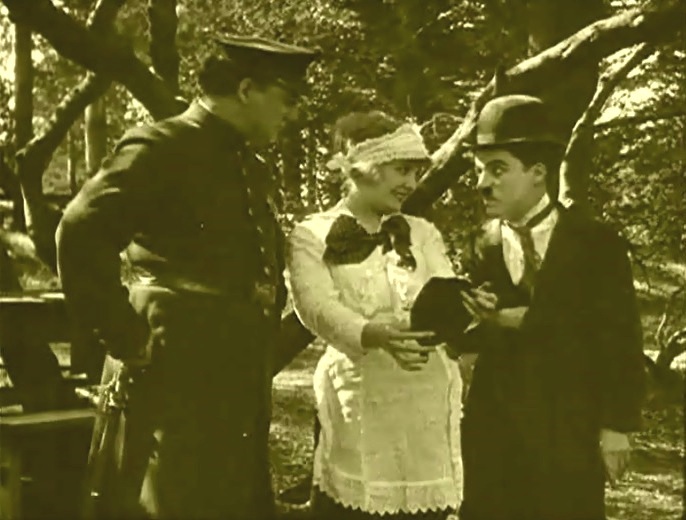 Edna Purviance discusses a certain purse with Charlie Chaplin as a policeman joins the show in the film "In the Park" (1915). 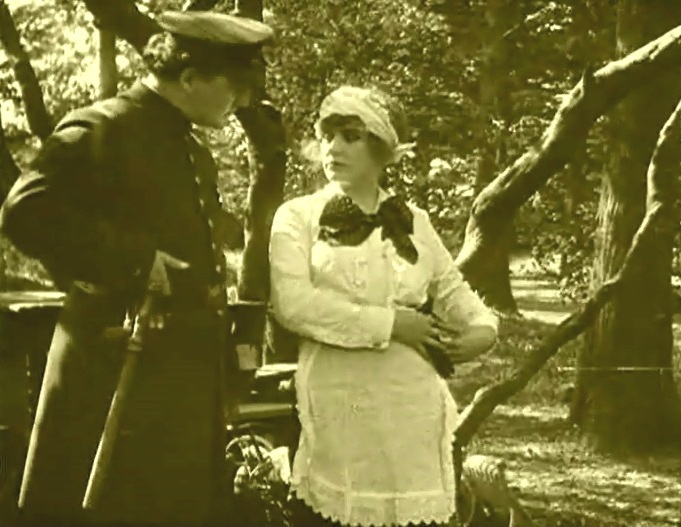 Edna Purviance doesn't enjoy police company too much in the film "In the Park" (1915).